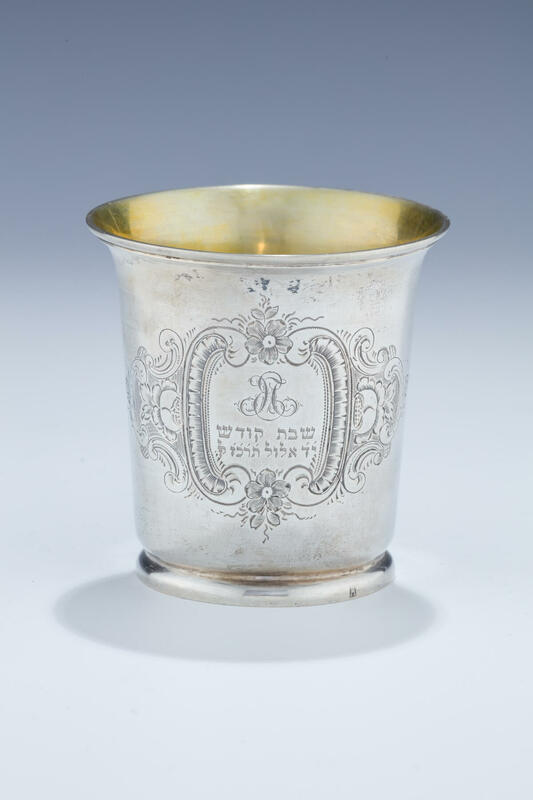 A SILVER KIDDUSH CUP. Germany, 1867. Engraved with bright cut design with C scrolls encasing Hebrew engraving “HOLY SABBATH” and the date Elul 14, 1867” Marked. 3” tall.